Four-leaf clover, also known as clover, is a flower that is happy. Like its name, the four-leaf clover is made up of four leaves. The four-leaf clover tattoo is an elegant tattoo. This tattoo pattern can be traced back many years ago. It has many positive and special meanings and is loved by young men and women. The four-leaf clover represents luck, and each leaf is given different things, namely, hope, confidence, love, and luck! Therefore, when tattooing, it must be made into four leaves, otherwise life will not be perfect! The four leaf clover tattoos is a testimony of love. It has always been popular with tattoo lovers! 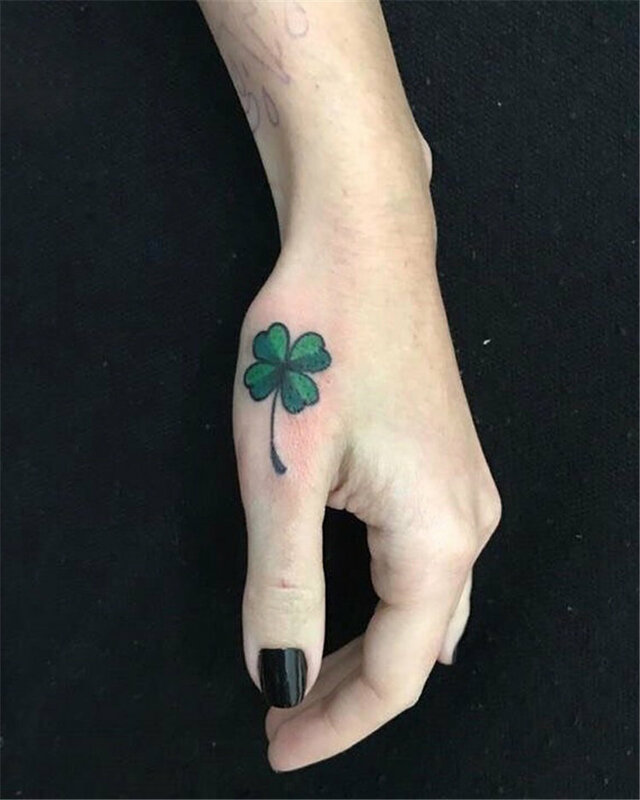 Although the four-leaf clover has only one style, it has been created by the tattooers with thousands of cute tattoo styles! We have prepared a lot of photos of the four leaf clover tattoos ideas for you. Hope you can get some inspirations in your tattoos.